Every girl at Three Oaks Public School Academy received an apparel donation from Michigan-based SHEFIT. 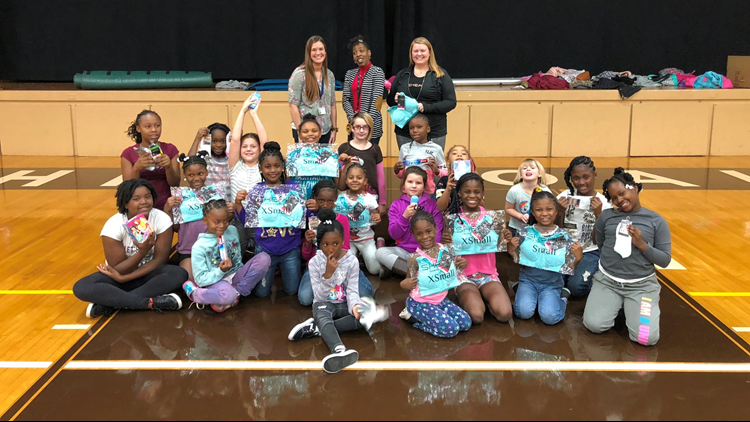 MUSKEGON - A group of Muskegon area girls got a really important gift recently, thanks to a Michigan-based company. These Three Oaks Public School Academy students are saying thanks for the 150 pieces of athletic gear and personal items, donated by SheFit a national apparel company. The principal says every single female student at the K-5 school got a piece of gear and calls the gifts "transformational." SheFit says they believe in empowering all girls and women, no matter their age, shape, ability or background. For your gift of gear and empowerment to the young ladies at Three Oaks Public School Academy, SheFit gets today's One Good Thing.